No doubt the ending will be heroic. I’m really hoping that Gina Rodriguez’s character doesn’t die. John Malkovich, Kate Hudson, Kurt Russell and Dylan O’brien also star. I wasn’t as excited as anticipated after I first saw the first teaser trailer of Quentin Tarantino’s The Hateful Eight, however I’m thinking that my lacklustre enthusiasm may have had more to do with the film’s genre than anything else. Admittedly, the western will probably never be my first choice in movie genre but I have absolutely zero regrets post The Hateful Eight and Tarantino’s previous movie Django Unchained (2012), also a western. Good servings of expert story telling, entertaining dialogue, great music and camerawork are all very present in The Hateful Eight – A film I consider a well sculpted two-plus hours of suspenseful entertainment with an ending you will love. The cinematography in the movie also manages to stand out even though everything in the film happens at precisely 3 locations. I liked the pace and the way things really started to build up especially around the moment that the audience starts to hear ‘Silent Night’ on the piano. The tension and suspense at this point is really something to experience and part of the reason Tarantino is considered a master film maker. 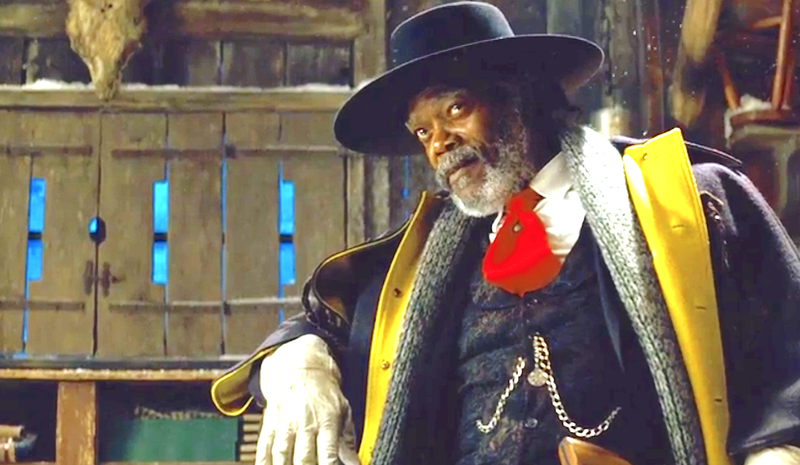 If you hadn’t already guessed, I think that The Hateful Eight is a movie worth seeing. Certainly one I’ll be watching again in the very near future. I don’t know if it’s quite Tarantino’s best but perhaps that would depend on one’s preferred movie genre. Walton Goggins portrayal of Sheriff Chris Mannix, Tim Roth’s Oswaldo Mobray and Samuel L. Jackson’s Major Marquis Warren are my favourite of The Hateful Eight characters. The first two because of the humour and the latter thanks to the dialogue, style and undeniable cool. 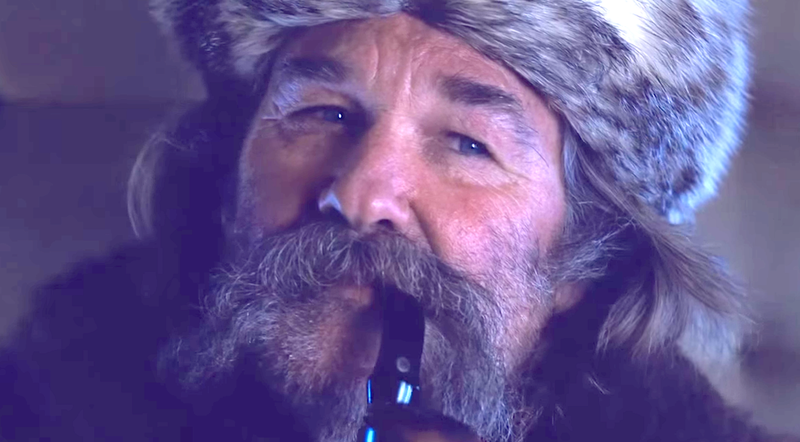 Watch The Hateful Eight for the story telling and film making mastery. Lastly, if you can make out the first lines of dialogue that come out of the mouth of Jody, played by Channing Tatum, please let me know in the comments below because I couldn’t make sense of it. 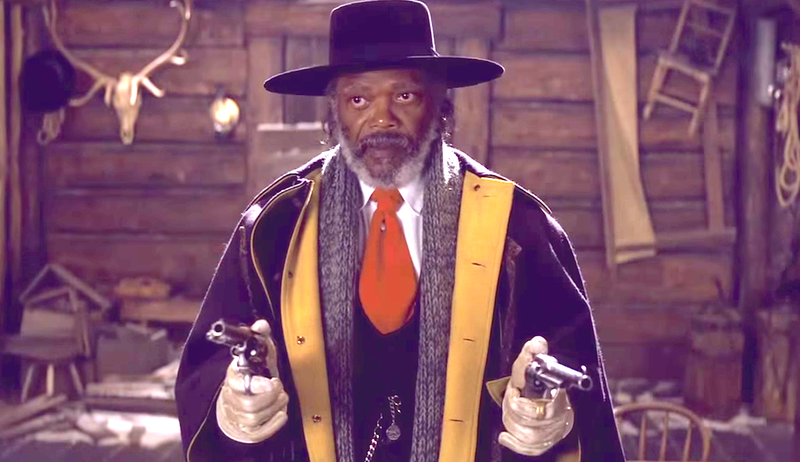 I wasn’t as excited as I expected to be after seeing the teaser trailer for Quentin Tarantino’s latest, The Hateful Eight, but after the official full trailer…. I’m excited to meet all the the undoubtedly cool characters and see the story play out in the traditionally spectacular Tarantino fashion. You don’t really see his face in the trailer but I can tell that the guy on the far right of the screen at 1:30 is Channing Tatum.